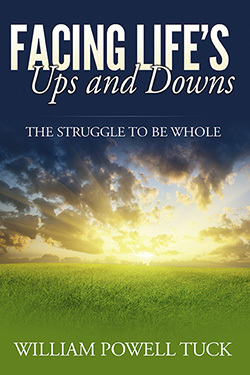 All of us have known anger, fear, depression, anxiety, or other dark times. Coming to grips with our moods or the low places of life can seem insurmountable, but Christians need not give way to despair or feel hopelessly determined by moods or circumstances. In Facing Life’s Ups and Downs, William Tuck makes the important connection between religion and daily living. Our Christian faith is not reduced to worshiping on Sundays and participating in private devotions, as important as those disciplines are; our religion is about how we relate to God and other people. Our faith can help us deal with circumstances that try to twist and distort our perspective, bearing us safely over the angry current to the shore on the other side. We follow a Lord who said he came that we might have life and have it more abundantly. Christ offers us life at its highest and best. As we turn to him for support and guidance, we discover a resource that undergirds and sustains us in the most difficult and trying times. Our faith strengthens us to meet the struggles we confront. William Powell Tuck, a native of Virginia, has been a pastor in Virginia, Kentucky, Louisiana and North Carolina. He has also been a seminary professor and has taught adjunctively at several colleges and at the Baptist Theological Seminary at Richmond. He is the author of seventeen books, including Our Baptist Tradition, The Compelling Faces of Jesus, The Lord’s Prayer Today and The Ten Commandments: Their Meaning Today. He received the Parish Pastor of the Year award from the Academy of Parish Clergy in 1997 and an honorary Doctor of Divinity degree from the University of Richmond. He is married to Emily Campbell and is the father of two children and has four grandchildren. He resides in Midlothian, Virginia.